Whether you need a quick trip into town, or are looking to travel across the country, you won't find a more reasonably-priced or reliable service than ours. We pride ourselves on our clean, comfortable cars and all our drivers are committed to ensuring you have a safe and relaxing trip. Easy to book, and with an on-time guarantee, you'll always be satisfied with our service. To find out more about our fleet of cars, or to book your next trip, call us now. Need to get to the airport in the dead of night? Looking for a reliable driver to collect you and your baby, and provide a state-of-the-art carseat? Need a regular driver to take you somewhere? 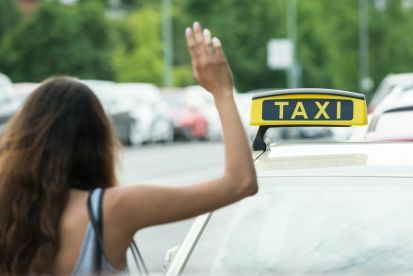 At Adams Private Hire, whatever you need, our reliable cars and our professional, friendly drivers will arrive on time, every time, and get you to your destination safely. Our stress-free booking system and knowledgeable team mean you'll never have to worry about your journey again. Thank you very much for ringing us that you had found my sister in laws bag in a taxi of yours... much appreciated and honest. 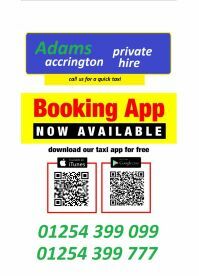 Please note that Adams Private Hire may not be able to honour booking requests made.